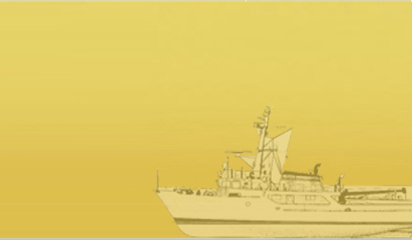 Ocean Sparkle Limited (OSL) is one of India’s largest Port Operation and Management Company. Since its inception in the year 1995, OSL has been consistently creating value for all its stake holders. The diversified bouquet of services offered by us gives our client “a Single Point of Accountability” through seamless integration of all services and thus results in effective execution of marine operations. We currently own and operate a large fleet of young and modern harbor crafts, which provide services at various Ports, Oil & Chemical Jetties, LNG Terminals across the vast coastline of India, and also in major ports internationally. Our offshore experience of operations at various SBMs, FSOs, FPSOs and STS, and our specialised expertise in Harbour operations, positions us as a formidable player in India. Because of our strong expertise and specialised competence, we are today managing 3 out of the 4 LNG terminals in India. Through specifically initiated training programmes at our various operational centers and with a state-of-the-art in-house simulator training centre, we have created a highly efficient "Bank of trained manpower resource” that ensures safe, reliable and effective delivery of services to our clients. The Management derives its strength from the experienced and skilled team of the company, which is also highly scalable and very efficiently handle new projects with short implementation periods, this gives us strategic advantage over other competitors. We operate in an entirely professional environment and firmly believe in "EXCELLENCE THROUGH PROFESSIONAL PARTICIPATION". Building a long term relationship beyond the contractual requirement has been the hallmark of our success. The vast experience in handling diversified Vessels in different geographical areas has enabled us to guide our Clients in a very professional way right from the conception of the facility. Our experienced personnel and advanced crafts and material present in nearby operational centers have been roped in to meet the exigencies at the shortest possible time and thus could help in minimizing the effect of exigencies.